This operational Grist Mill and Country Store, constructed by John Martin in 1876 when he came to Georgia to mine for gold, lies alongside the Chattahoochee River in Helen, Georgia. It still uses the original French burr stones and wooden raceway that feeds water to a water turbine to grind many of their products. After a few years, John sold the mill to Dr. Lamartine G. Hardman, governor of Georgia from 1927-1931, who named it “Nora Mill” in memory of his sister, Nora. 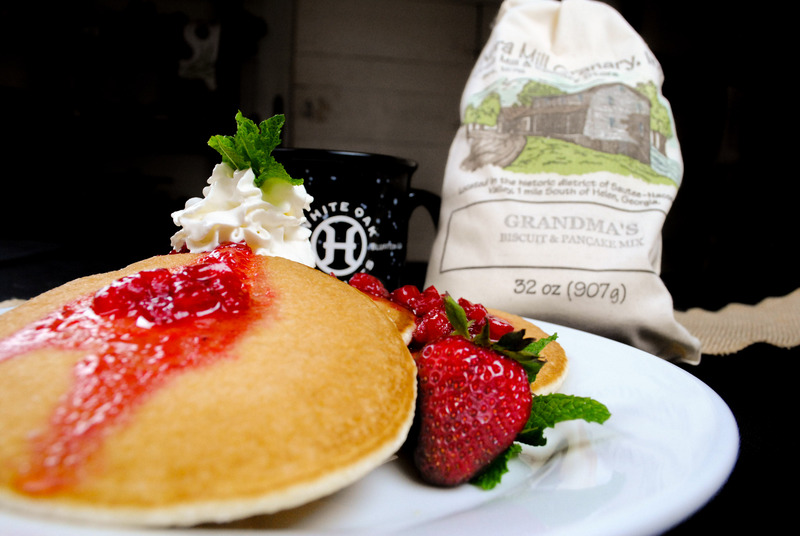 Nora Mill remained in the Hardman family until 1998, when it, along with the 300 acres surrounding it, was purchased by investors. In the early 1800’s, a retired Army Lieutenant Colonel Ron Fain worked with the Hardmans and leased Nora Mill. Ron became the miller of Nora Mill and worked alongside his parents until they passed, then brought his daughter, Joann, into the business to teach her the art of milling. Ron and his daughter creatively expanded the product line and opened a store and gift shop next door, naming it “Nora Mill Next Door”. Ron and Joann worked side-by-side, just as he and his parents did, until his passing in 2001. The third and fourth generation of the Fain family, Joann Tarpley and husband Rich are running the mill, and as history repeats itself, their children are right there with them. The generations may be changing, but they continue the tradition of grinding fresh grains with no additives or preservatives. The generational change also brought about the massive project of refurbishing. They have enclosed the breezeway and have built a new porch and deck overlooking the Chattahoochee River. The dam, raceway, and penstock have been rebuilt, and the grinding and milling machinery have been refurbished. 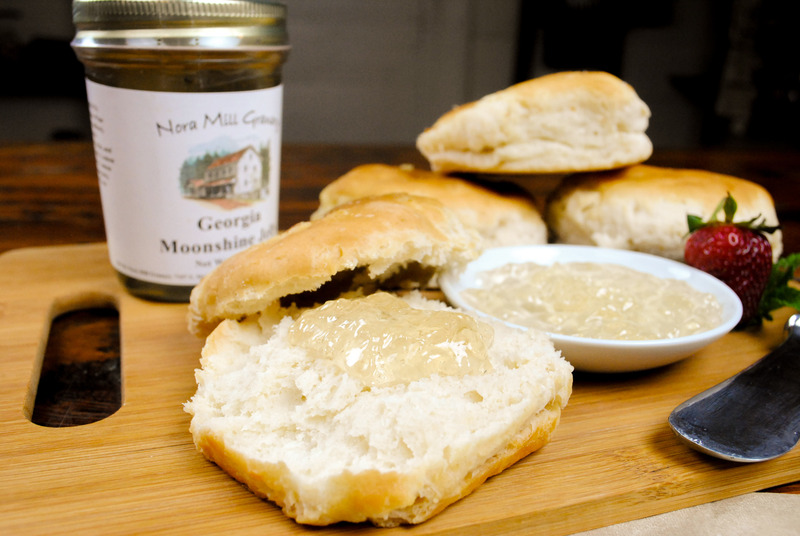 Nora Mills will continue its tradition to mill out quality products for generations to come. 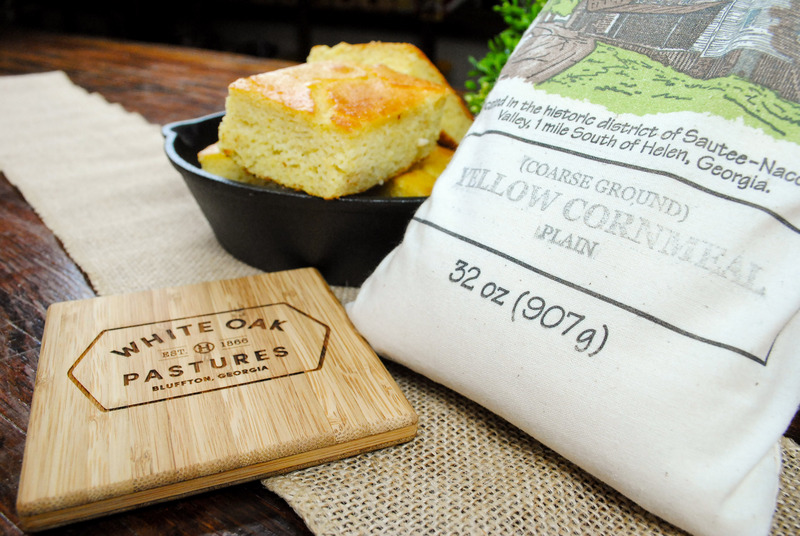 We here at the White Oak Pastures’ General Store are proud to stock many of these quality-made products. 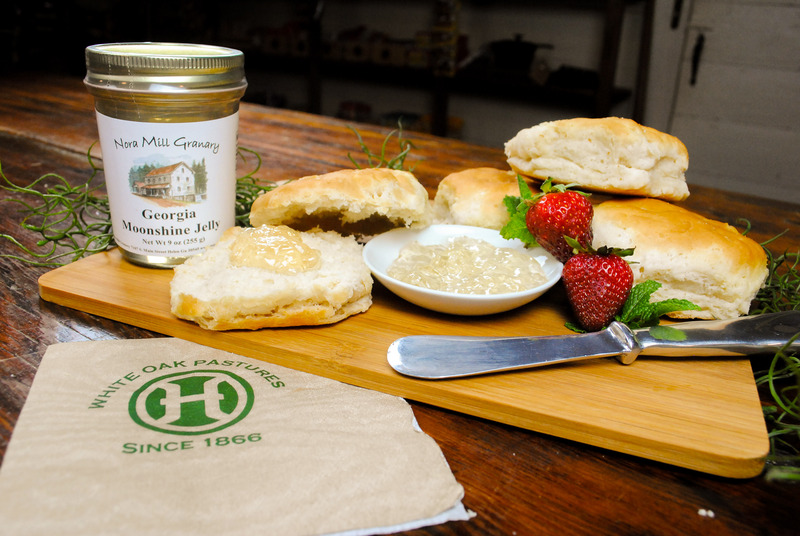 If you would like to enjoy an experience that is indicative of “the good ole days,” you may want to drift into White Oak Pastures’ General Store in downtown Bluffton, GA, and grab a few of the products that Nora Mills sent us.